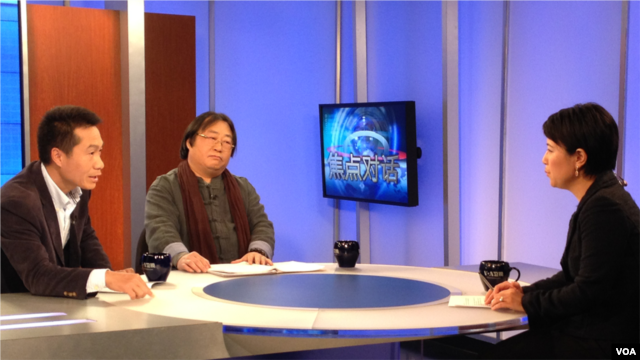 Zhaohui Rui (left) and Huaguang Zhao join VOA Mandarin reporter Xin Chen on the set of “Pro and Con” on May 30, 2014. Video | China Chafes at Christianity’s Growth As Christianity continues its rapid rise in China, some believers feel discriminated against by public policies and say that the government favors traditional Chinese religions. 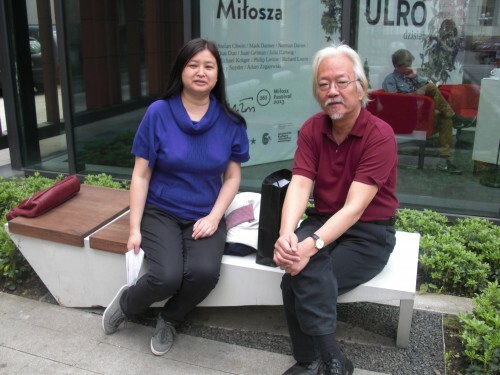 Ms. Li Jianhong is pictured here with the Chinese poet Duoduo at the PEN-conference in Krakau, Polen in May 2013. 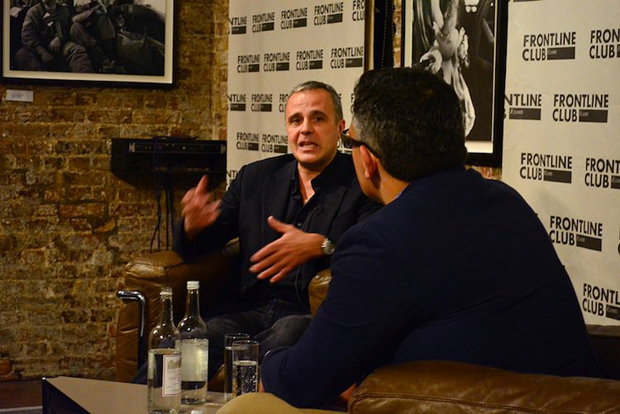 Photo courtesy of Li Jianhong.